KSRealityBites: " PayPal Payments To, From India Blocked "
" PayPal Payments To, From India Blocked "
Popular online payment service PayPal shocked several Indians and rest of the world by suspending payment transactions to and from India for more than a week. Anuj Nayar, spokesman from communications team for PayPal, posted on the official PayPal blog, that personal payments to and from India and the transfers to local banks in India have been suspended. This directly impacts several freelancers from various fields and businesses that depend on PayPal as a transaction gateway. Though temporarily, PayPal has given a mini cardiac arrest to several India-based PayPal users by shunning payment transactions to and from India. Apart from that, these users can't even transfer their funds to local Indian banks to withdraw their balance. All this was conveyed by a standard mailer that every India-based PayPal user received. (c) provide a shipping address. If this payment was a personal payment such as a gift, then we have requested that the sender find another payment method until we restore personal payments to and from India. We are trying to resolve this issue as quickly as possible and we re sorry for any inconvenience. Nayar's post indicates that the situation is temporary and the issue is to address the questions about the service that PayPal's business partners and other stakeholders have. Over the weekend, we met some bothered India-based PayPal users who were literally clueless on whether their funds would be recoverable ever. Advertising professional Kenroy Rodricks said, "I've about $1,000 stuck in PayPal account which I can't transfer or perform any transactions with. 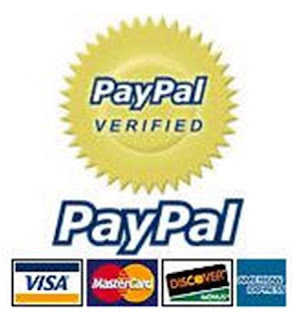 PayPal is my only gateway where I send and receive payments from clients abroad." We're sure that Nayar's assurance to restore the payments as soon as possible will give a ray of hope to many such India-based PayPal users. Let's not forget a fact here that PayPal was acquired by eBay in 2002. Yes, it's the same eBay that first bought Skype and 65% stake of Skype to an investor group. We may not be surprised if PayPal undergoes the same process. What really freaks anyone out where books like 'The Secret of Hacking' Third Edition covers topics - How Hackers Hack Paypal account and credit card Hacking (fully untracable), are sold offbeing sold over the web. With no intentions to scare or mislead anybody, we patiently wait till the issue between PayPal and its business partners as well as stakeholders get resolved.